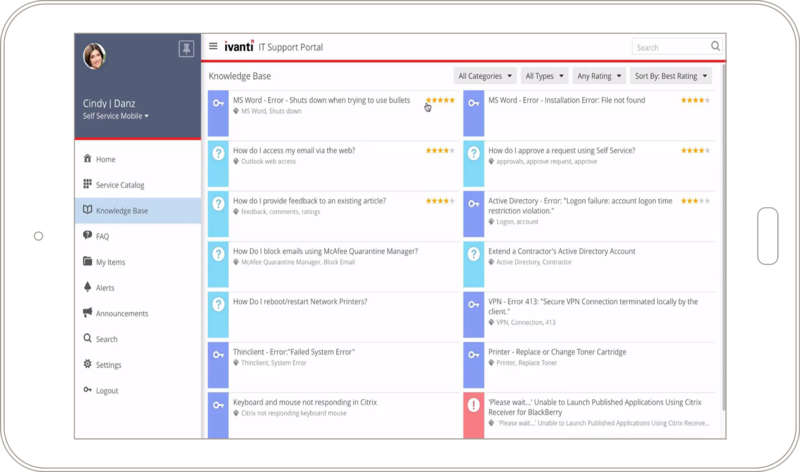 Extend the reach of the service desk to your staff and users on the go or using their own mobile devices. Allow users to check on incident status, submit requests or search for answers to common IT questions. Analysts and technicians can manage their tasks, assignments and workloads while providing support where needed. People are roaming more, and what is beautiful about Ivanti is that even if you are not on campus, you can do your work and it still gets recorded.